The wave of mobile-first business is growing, and the only option is to swim with it. The workforce is demanding to use its own devices for everything both personal and work-related and IT is quickly losing control. It is imperative that your business get ahead of this. Enterprise mobility management (EMM) is a great way to keep up with the mobile-first revolution, but developing a strategy can be difficult. 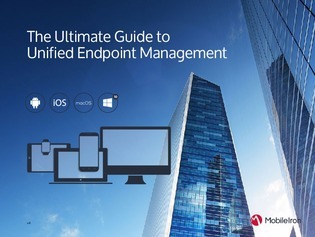 In this white paper, explore an extensive guide to EMM success. Read on to learn how the right EMM strategy can help you lead the pack.